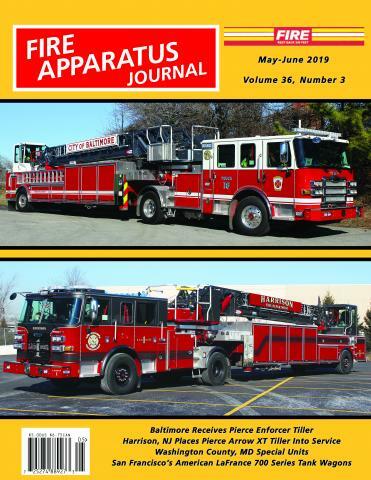 Boston by Bill Noonan | Fire Apparatus Journal Inc. The Boston Fire Department consists of 2 divisions, 11 districts, 33 engine companies, 19 ladder companies, 2 heavy rescues, 2 brush units, 2 tunnel rescue units, a marine unit, 3 tower ladders, a haz-mat unit, a collapse unit, a mobile command post, a tactical communications unit, and several other special units. The Boston Update column reports on new apparatus deliveries and assignments, re-assignments, and refurbished apparatus operated by the Boston Fire Department. The Boston Update is written by Bill Noonan, a Boston firefighter since 1971 and currently a department photographer. He has authored four books, SMOKE SHOWIN', JAKES UNDER FIRE, WOODEN STICKS & IRON MEN and FLAME & FACE. He also participated in the new book, BOSTON'S FIRE TRAIL, published by the Boston Fire Historical Society. In addition to photographing all new apparatus delivered and re-assigned, and photographically documenting BFD history, Bill collects any photos having to do with the Boston Fire Department.